Former House Speaker John Boehner (R-Ohio) has joined the board of a top cannabis corporation to promote the use of medical marijuana, a shift in his once-adamant opposition to legalization of the substance. Acreage Holdings is one of the nation’s largest cannabis corporations. Boehner will also be joined on the Board of Advisors by former Massachusetts Gov. Bill Weld, who won the Libertarian nomination for vice president in 2016. In a joint statement, the pair said they are hoping to to de-schedule cannabis from a Class 1 drug at the federal level so it can be used for medical purposes. “While the Tenth Amendment has allowed much to occur at the state level, there are still many negative implications of the Federal policy to schedule cannabis as a Class 1 drug: most notably the lack of research, the ambiguity around financial services and the refusal of the VA to offer it as an alternative to the harmful opioids that are ravishing our communities,” the statement said. They pointed to overwhelming public support for at least some type of access to marijuana as part of their decision to join the Acreage advisory board and said that current federal policy does not reflect the priorities of most Americans. While dozens of states have moved to legalize marijuana in some form — either recreationally or for medicinal purposes — the substance is still prohibited at the federal level and is classified in the same category as heroin and LSD. The New York City–based Acreage currently operates in 11 states. The move signals a shift for Boehner, who once said that he was "unalterably opposed" to legalizing marijuana. Current Republican lawmakers said in February that they were optimistic about passing cannabis legislation in 2018. "I found myself, like a lot of Americans over the last 10 years or so, beginning to look at this issue a little differently," Boehner said on the Today Show. Boehner said he sat down with Acreage Holdings founder Kevin Murphy. "And then I began to have conversations with my friends, and I found myself in a position where I thought I could lend my voice to this discussion about the medical use of marijuana," Boehner said. Will he advocate for the United States legalizing marijuana? 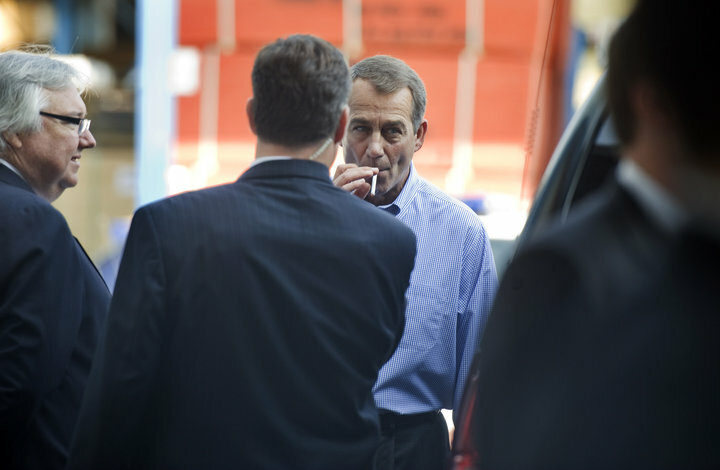 "I'm not advocating for that," Boehner said. "My position is that the states ought to decide." He then pointed out the incongruity of federal and state laws regarding marijuana. While 29 states have legalized some form of marijuana, federal law still defines it as a schedule I narcotic. That means federal-funded universities can't do research into cannabis and still get government money, Boehner said. The tobacco money that he used to get on the Senate floor dried up. Now dope is cutting the checks.